Many thanks to the donors who made the construction of New Ballet Studios in Cooper Young possible. After nine years in this location, we are ready to expand our program with the Access to Excellence Campaign. Stay tuned! 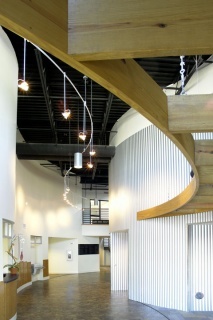 Memphis youth are proud to call the newly renovated state-of-the-art 14,500 square foot studio home--completed in 2006. This beautifully renovated space is used by not only New Ballet but also local arts and civic organizations. Unique to the Memphis community and to communities across America, New Ballet is a bridge-building Arts organization that serves youth from every corner of the community and in its entirety. Children from diverse communities come together on a daily basis with the common denominator being dance, and that diversity remains a principle focus of the organization’s leadership. New Ballet's facility in the heart of midtown Memphis, is allowing us to expand our services to children from all backgrounds.